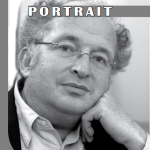 Revue Pratiques, Les Cahiers de la médecine utopique. 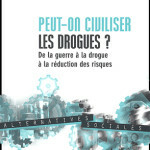 La prohibition de l’usage de drogues en France a empêché de développer une politique de santé publique. La réduction des risques a été imposée par l’épidémie de sida. Les médecins doivent reprendre la gestion des psychotropes, en alliance avec les usagers. In 2004, a public debate emerged on the misuse of, and trafficking in, prescribed drugs. Because of their positive outcomes, maintenance treatments were not officially questioned. A national evaluation showed that the decrease of 80% in fatal overdoses and of 67% in arrests for heroin use (1994-1999) were directly connected with treatment accessibility. This assessment resulted in a consensus among addiction and public health experts. These good results have not, however, been published by the mass media, and the general public still is unaware of them. Nor were the causes of these good results were not discussed among health professionals. They are not only due to the medications involved, but to good clinical practices. The first practitioners who started to prescribe maintenance treatment had followed extensive training, and were networking and building relationships of trust with their patients. Against the background of this public debate, a consensus conference on maintenance treatments organ- ized in 2004 recommended that the prescribing GPs should be better trained, and that they should be included in professional networks. Although these recommendations gave priority to the improvement of clinical practices, the authorities have decided to implement control measures over patients. These measures might make access to treatment more difficult, and they fail to sup- port the involvement of GPs and pharmacists. The effectiveness of substitution treatments could be affected. Quelle direction prend le domaine du traitement de la toxicomanie ?